935 / Able to pull off a photo session with one eye. That's always good to know that I can handle things that get in my way. It helped so much having a great cooperative family. 937 / Able to get in the eye doctor quickly. I was so afraid I wasn't going to be able to get in with anyone but I called & was in an eye doctor's chair in less than 2 hours. 938 / My eye will go back to normal. That was the best news I heard all week. 939 / New glasses. I'm all about a bargain, so I found a pair of frames in the clearance section. I dont have vision insurance ... to top all all my insurance woes, health & dental... so I was happy to cut corners where I could. Ricky actually really likes the frames too so win win. The lady that helped me was so great too - she knew I didnt have insurance & ended up giving me a 40% off coupon for some of the work I had done. Any little bit helps. 940 / Baby session turned out OK. I tend to not do baby sessions because they are all world of their own, but when I have returning clients or previous brides & grooms, I try to do what I can. So off to see this couple, who I had seen twice previously for other sessions ... & this little guy just wasn't feeling the session. He probably slept maybe - MAYBE 5 minutes the whole 2 hours I was there. & not happy about being awake. The one positive thing is the parents are 2nd time parents so they didn't freak out as first time parents when baby isn't happy. & I was worried I didn't get great pictures with him being so fussy, but I was so pleasantly surprised how well everything turned out in the end with this session. 941/ Walking Dead with friends. OH MY GOSSSHHHHHHHHHHHHHHHHH..... I knew the premiere for this season was going to be intense. Didn't know it was going to be THAT intense. So I was so thankful when a friend said they were having a Walking Dead watch party. Better to handle it with others than alone. Someone there said they wish they had a camera on the couch I was sitting on with my friend Chasity & Audrey. They said we looked like monkey see, monkey hear, monkey do with the way we were all covering parts of our faces. 942 / VACATION!!!!!!!!!!!!! .. you know I had to put that in there. 946 / Grocery shopping during the day. Its like a whole other world. Just calmer & easier. I think I need to be a stay at home wife. 947 / 5K with my friend states away. I love virtual races for the fact that you can do them within a time period that is required - but also love you can make that time you pick for a race the same time a friend states away is also going to run it. My precious friend Nathalie, who I have talked about before on here for doing fitness challenges with, we added virtual racing to our shared interest... on top of knitting & reading & blogging & dog lovin' for just a few examples... we're just basically sisters. 948 / Able to run the 5k. I haven't ran in MONTHS!!!!! I was actually planning on walking & was concerned with my knee & my low back that has been bothering my sciatica. Not to mention, the running with one good eye thing made me feel like I may trip over something. But I'm stubborn, if anything - so thought, I'm going to try it... & ended up doing really good. Surprised myself. I did walk some of it, but ran about 85% of it. For someone who hadn't ran in the longest time, I was super proud of myself & thankful my body remembered to do what it does. What good things have been happening in your world this week? I went grocery shopping on Mon. when I had the day off and it was glorious! I told K I was going to quit & be a stay at home (dog) mom :D Hope your eye is healing up!! Well, I have next week off, but not for vacation unfortunately. My grandma died and we have to travel for her funeral. But God bless her, she was 97 and was tired and ready to go. I will miss her, of course, but I know she was done here and she slipped away peacefully. What more could you want? Your photos are precious! I admire your work so much! Congrats on the race and being able to run most of it!! Grocery shopping during the day is my FAVORITE. I have time to check out products and labels I usually breeze by because things are so hectic. I am not a Steelers football fan, so I try to go during Steeler games. It works like a charm! so glad that your eye will get better -- hope it heals fast. have a great rest of your vacation! yay so good to hear your eye will be back to normal! yay for running! Glad to hear the eye will get better. You did a lovely one eyed photo session :) I don't comment much from my phone because of that reason...lol I stalk too. Congrats on the 5K!! That is awesome you felt good running it and what a cute medal. I want to be a stay at home wife too...the quality it would bring my existence. UGH The Walking Dead...I can't. But I'll reply to your comment about that in a minute... Haha. So happy you're enjoying vacation! So funny that baby was being so fussy and you said it just takes perfect timing to get a crying baby to look happy, because he looks like the happiest baby ever in that picture!! A few of my photography friends around here refuse to do baby pictures and that gives me the sads because I wanted to use one of them for my newborn pictures and now I have to go to a stranger. Boo! But I understand it is probably a whole beast on its own to deal with that. Babies aren't the most cooperative out there! Glad you were able to get in to see your eye doctor and score a deal on glasses. Yay, that's awesome that you were able to run during the 5k! I love the photos, it looks like you guys had fun with it :) I love it when I can go get groceries during the day on a weekday. It's so calm and everything moves so quickly. So different than the weekend. Picking out new glasses is always so fun! I'm going at the end of November. Yay! 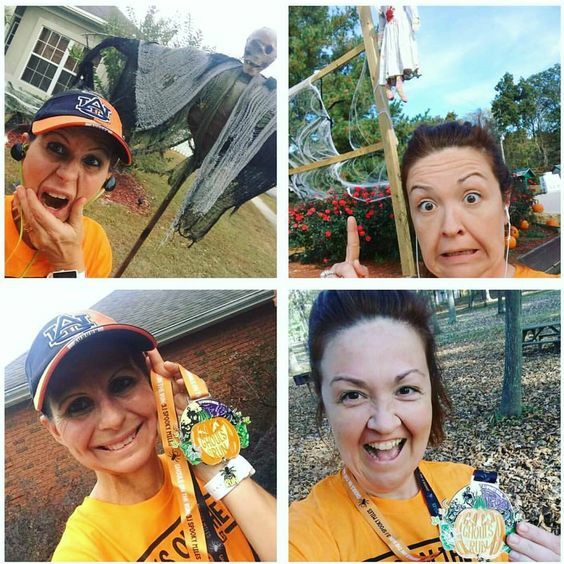 Virtual 5K?! That is so fun! Glad you were able to run most of it. Go you! So glad you're eye is mending nicely. I need new glasses too and hopefully I find a pair of frames in the clearance rack too! Love the pictures. We had family pictures taken almost 2 years ago and they seem so "staged". I like how personal your pictures feel. So much goodness in these posts! It sounds like you're enjoying your vacation and staying busy! I've always wondered how exactly virtual races work, but that sounds so fun & so cool to run the same race as someone you're not physically with! I am so glad your eye is ok. That is so scary. Yay for vacation although I am jealous that you are on vacation. Ha. I need to get into Walking Dead. Everyone says it is soooo good. Yay for getting good deals, and for getting stuff done and running, woo hoo! :) Enjoy your last few days of vacation! My bff is also a photographer and she will not do baby sessions either! The walking dead.... omg. I skipped a couple parts of it. It seriously made me sick to my stomach. I think it completely crossed the line. I mean, other episodes have been gory, but this was just too much!! Good news about your eye and being able to run. And yay for vacation! 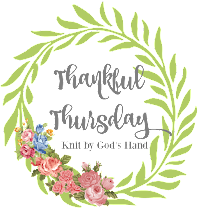 A great list of thankfuls! Have you actually worn those new glasses yet? Aww baby pictures just melt my heart! Glad you were able to get glasses... and yay for a good bargain! I don't watch "The Walking Dead", but my husband saw this post over my shoulder and he totally agrees with what you wrote. I am impressed with the photoshoots, especially because of your eye problems. When I read blogs from my phone, it is a pain in the rump to comment, so I'm that "weird stalker" sometimes too. 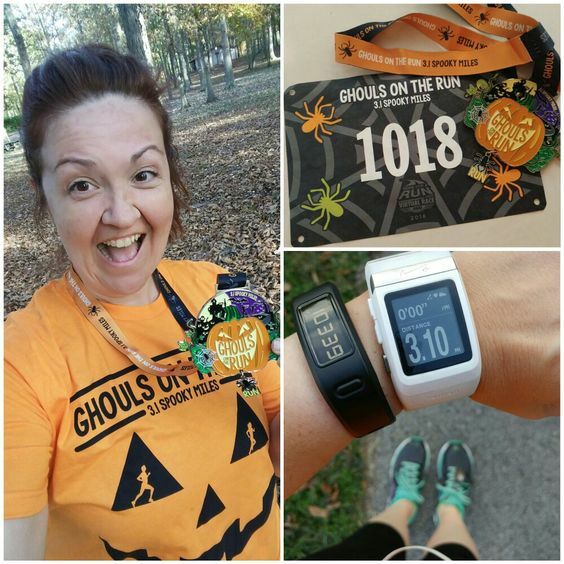 "Ghouls on the Run" is a cute theme. I love getting new bedding too. YAY for all the good things happening this week! I am definitely a weird stalker at times. Like this week. It happens. We forgive you. The Walking Dead made me want to throw up it was so insane! And yes to a stay at home wife! I could totally do that! Such a lovely families pictures!